1 Puree feta cheese, peas and beans together in a food processor or a stick blender till smooth. 2 Season with salt and cracked pepper to taste. 3 Spoon into a serving bowl and drizzle with olive oil and a few whole peas and beans. Scatter with micro chives and extra feta. 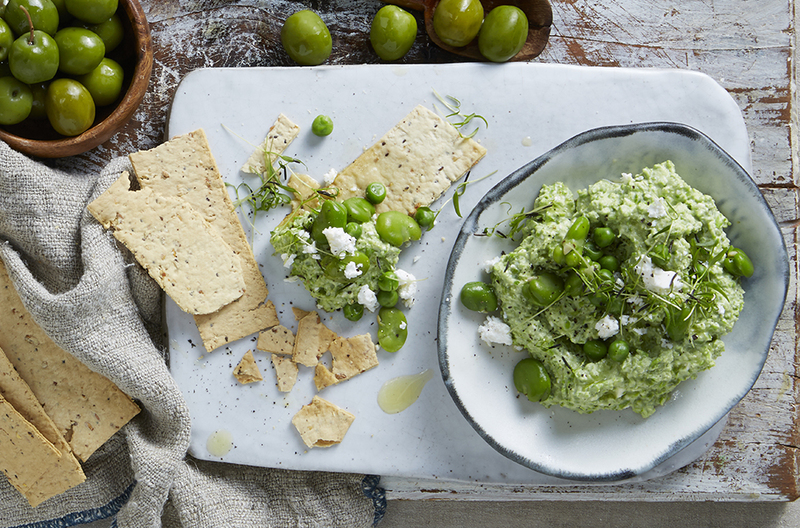 Serve with green olives and your favourite Kurrajong Kitchen Lavosh.